Wild Camping in Scotland? Improve Your Success Rate. 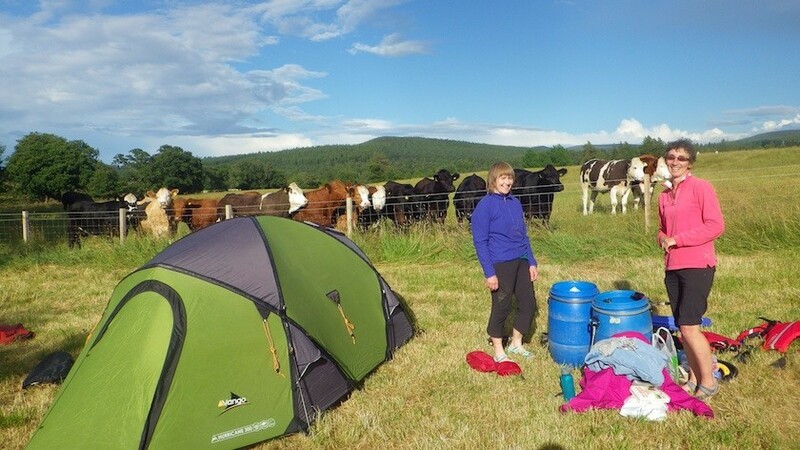 I could count on one hand the number of times I have been wild camping in Scotland, and that very same number all amount to unsuccessful attempts. I hate to admit it but, as much as I love adventure and the outdoors, I am more of a five-star hotel kind of gal than roughing it in a tent. That said, I had my arm twisted at the weekend and was whisked away for my first wild camping expedition in Scotland. Below are my top tips to ensure you’re wild camping exhibition is one to remember for all the right reasons. 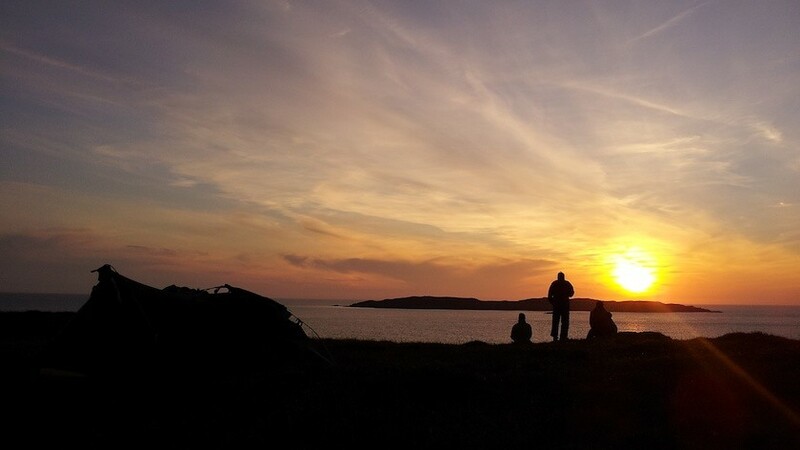 Location and weather are obviously key factors to the success of wild camping in Scotland. As luck would have it the Scottish weather played ball. The sun shone all day and, while tucking into a delicious supper, I caught one of the best sunsets I have ever seen. Unlike the weather, the location has less to do with luck and more with planning. 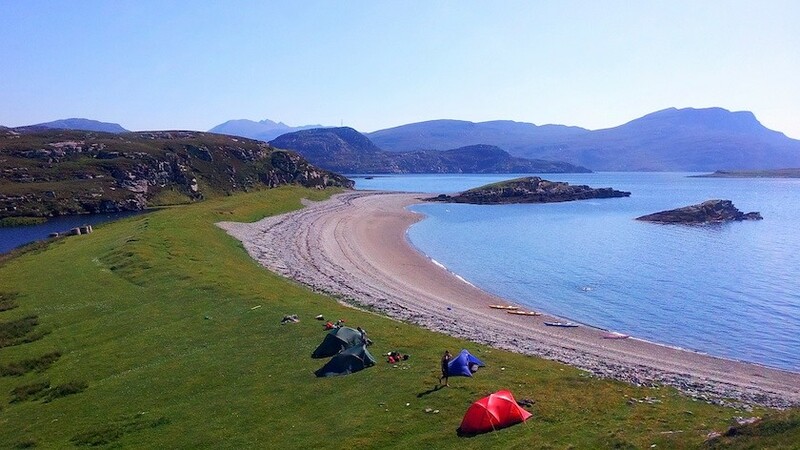 One great thing about the Highlands is there are many remote and wild spots so wild camping is quite accessible. 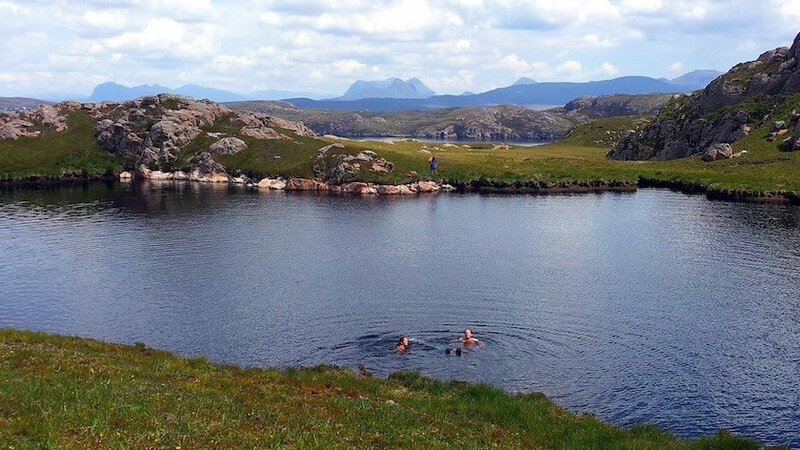 We chose to head for the hills of Assynt in the North West Highlands where there is an abundance of secluded spots to pitch your tent. The drive through the wilderness to find the perfect spot was breathtaking, I was within touching distance of more wildlife, sea life and birdlife in two days than some people do in their whole lives. And the cherry on the cake? I definitely woke up feeling more refreshed than I’ve ever have done in a hotel. Location – choose an area with plenty of things to do during the day be it walking, climbing, biking or paddling and you’ll make a full trip out of it. Bring a good map – Ordnance Survey maps are the best. Always have a rough plan of where you want to go. Check out the roads and local facilities – some areas are really very remote, with just single-track roads and very few local amenities so make sure you bring essentials in case you can’t pick them up locally. Bring a supply of food – pack foodstuffs that are easy to cook or just need to be heated up. Make sure you know how and where to go to the toilet – If you’re not sure, this book tells you how. Don’t leave anything behind – make sure you leave the wilderness as you found it. Pack up all litter and unused food and take it home. Bring plenty of warm clothes – it can get very cold at night even in summer. Also, pack extra clothes in case you get wet. Check the weather – it’s pretty much out of your hands but do check the forecast before you leave and decide if it’s a good idea to go. The most accurate information for the Highlands can be found on the Mountain Weather Information Service website. Bring the right kit – carefully research the kit you need to specifically suit your trip. Leave no trace – enjoy the land, but leave it as you found it to ensure we preserve the beautiful but fragile environment. 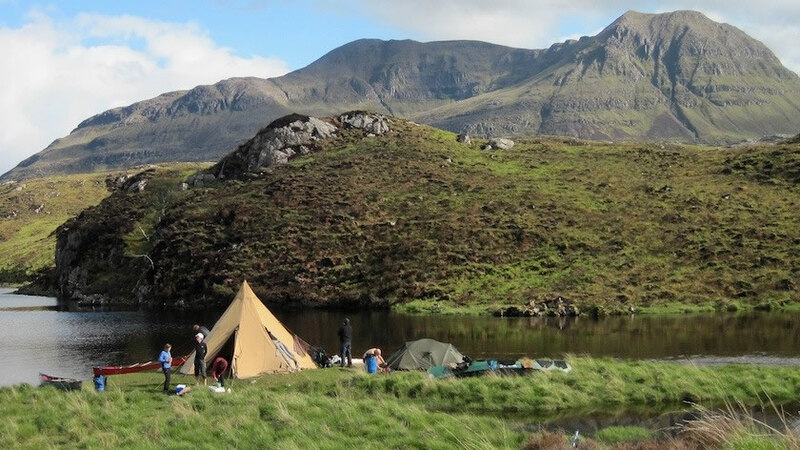 Take a few minutes to immerse yourself in the excitement of canoeing wild camping in Scotland as a group tackle our North West Highlands canoeing and camping trip. If you’re not ready to brave the wilderness alone, why not try one of our canoeing or sea kayaking expedition trips that include wilderness camping, and let our expert guides show you the ropes? 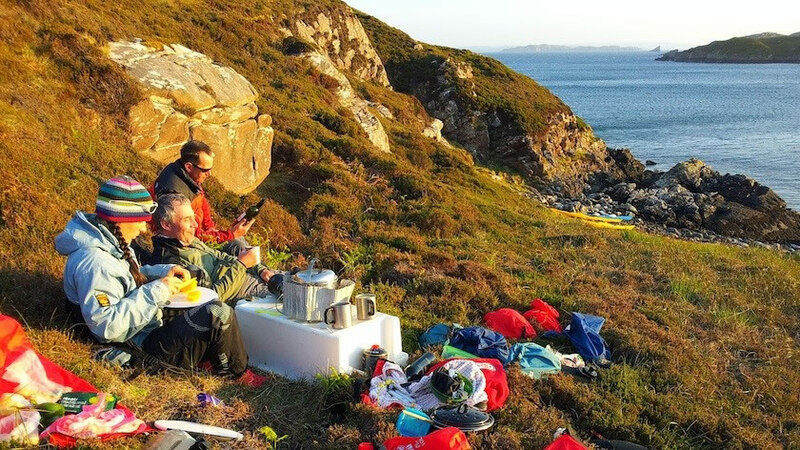 Our trips take wild camping to another level with great menus including our own Wilderness Roast coffee, cosy communal teepees and the most secluded of locations; to prove we do the best wild camping tours check out our customer reviews.